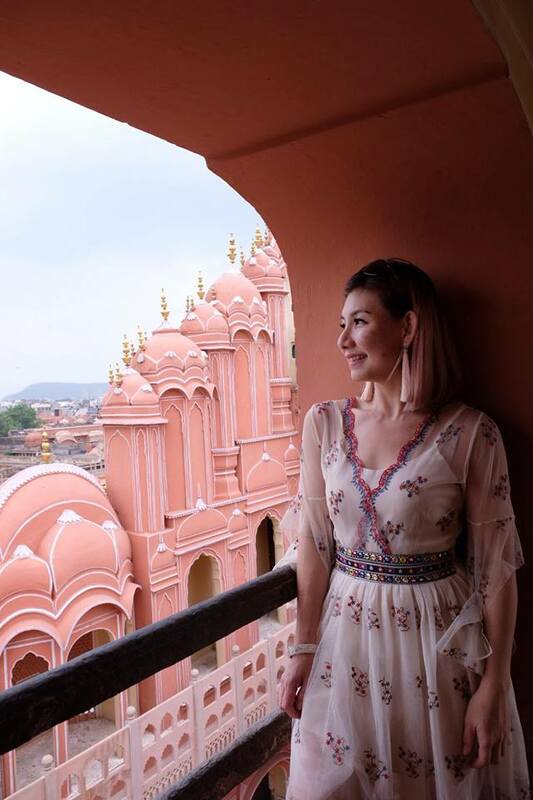 Hello Jaipur, I can't believe I am finally here! Another one checked off of my bucket list. Huge thanks to AirAsia X, last week I was flown to Jaipur from Kuala Lumpur for 5 days 4 nights trip with fellow influencers from Malaysia, Indonesia and Australia. 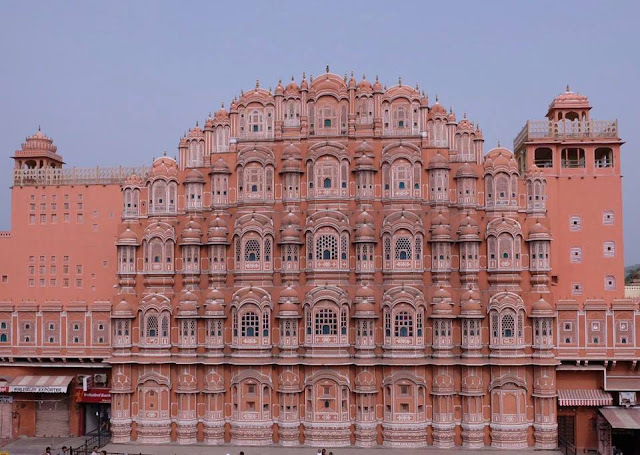 Jaipur is the capital of India's Rajasthan State also known as the lovely Pink City offers a perfect blend of old world charm and new world vibrancy. 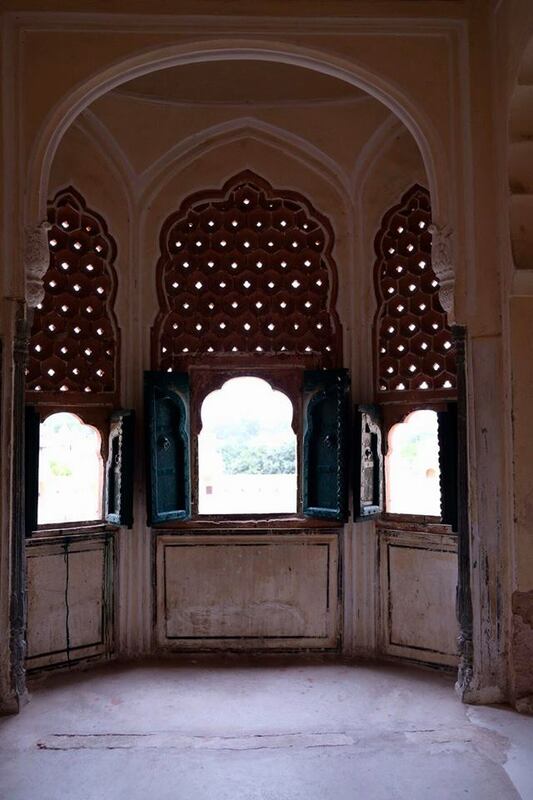 It was painted pink by Maharaja Man Singh II when Prince of Wales, later Edward VII, visited Jaipur in 1876. In fact, almost every city of Rajasthan is colour coordinated, Jaipur is pink, Jodhpurk is blue, Udaipur is white, Jhalawar is purple and Jaisalmer is golden. Today, every home within the city is obliged by law to maintain this facade. Did you know this royal town is the first planned city of India with such stunning architecture? 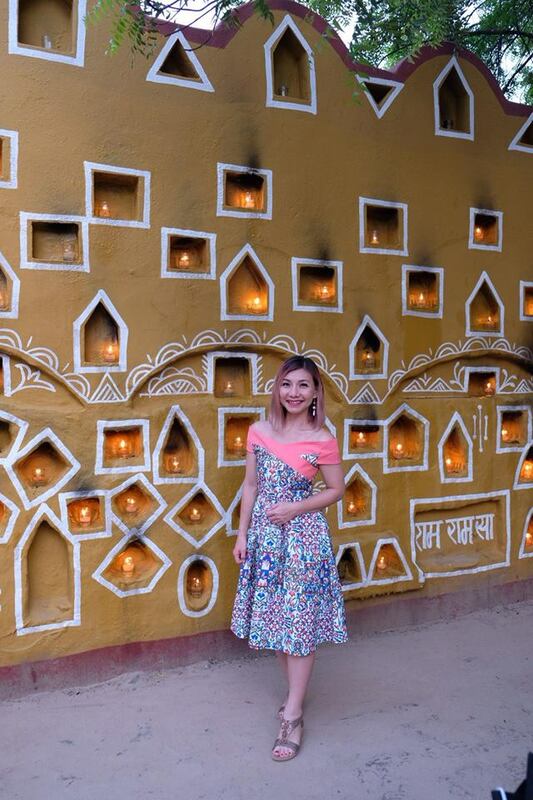 It was planned in a grid system with wide straight avenues, roads, streets and lanes plus uniform rows of shops on either side of the main roads. 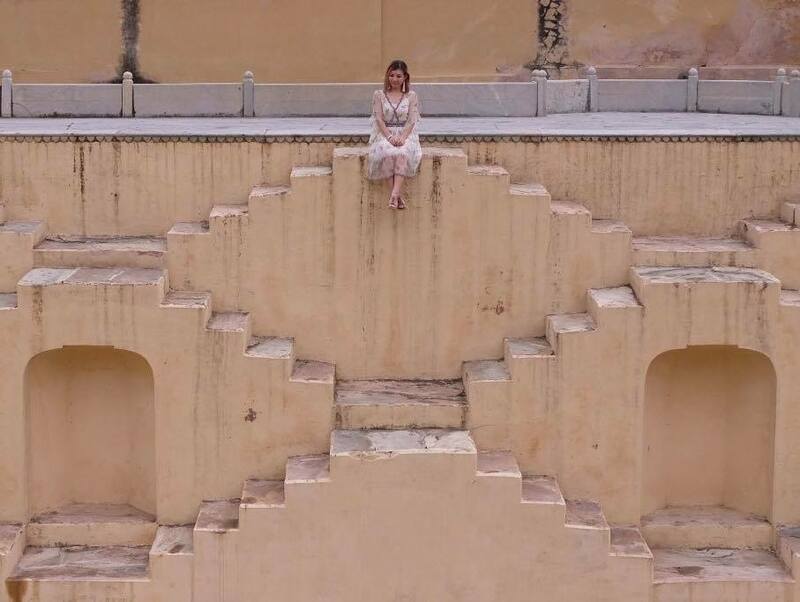 The rich culture and tradition, magnificent art and artifacts, plus the brilliant past, you'll be in for a captivating adventure in Jaipur. Not to mention, the serene temples, the long-standing fort and palaces and beautiful havelis with Royal touch, wonderful landscapes and picturesque views which add on to the glory of Jaipur. 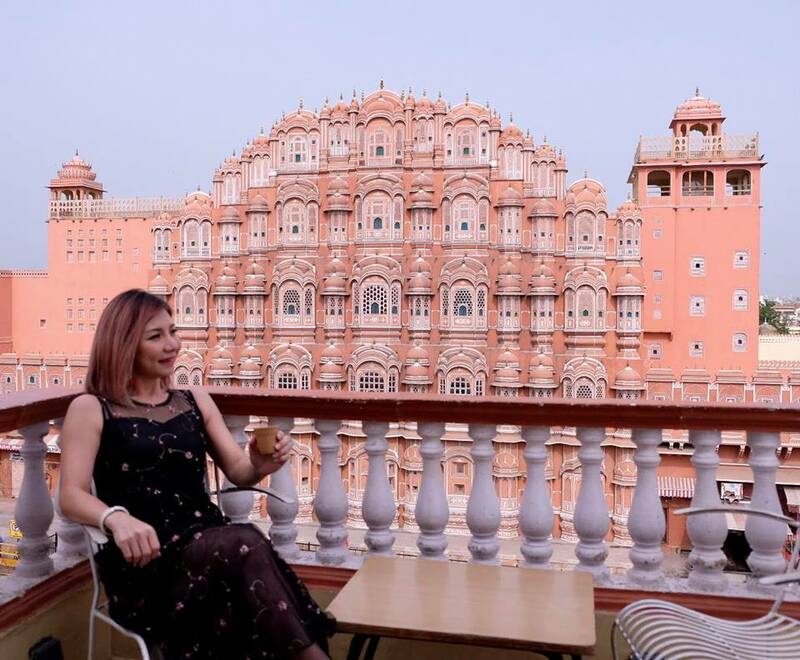 There are certainly so much to explore and countless things to do in Jaipur, from the lavish palaces, historic forts to the massive museums, but here are some of our top picks you must visit when you're in Jaipur! One of the most impressive forts of Rajasthan, the magnificent fort overlooking the beautiful Maota Lake is truly a masterpiece of the Rajputana architecture. Built by Raja Man Singh I in the 16th century, the mesmerizing fort boasts a unique blend of Hindu and Rajput elements. 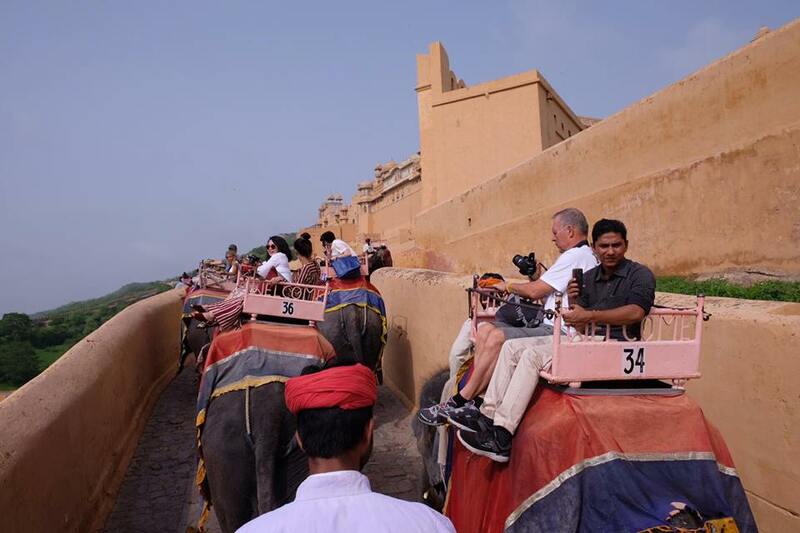 If you want to experience the unique elephant ride up to the fort, do make sure to reach the fort before 10am. It was a really bumpy ride but trust me, it will be worth it. 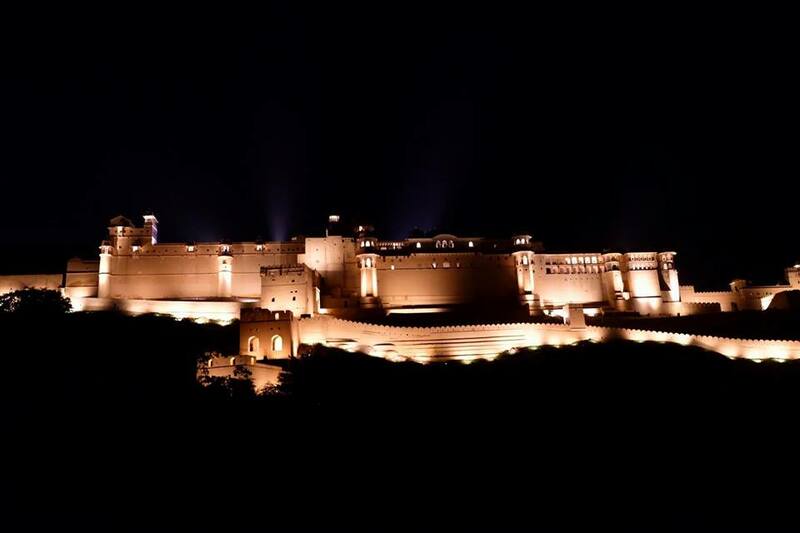 Absolutely love the scenic views up to the fort too. 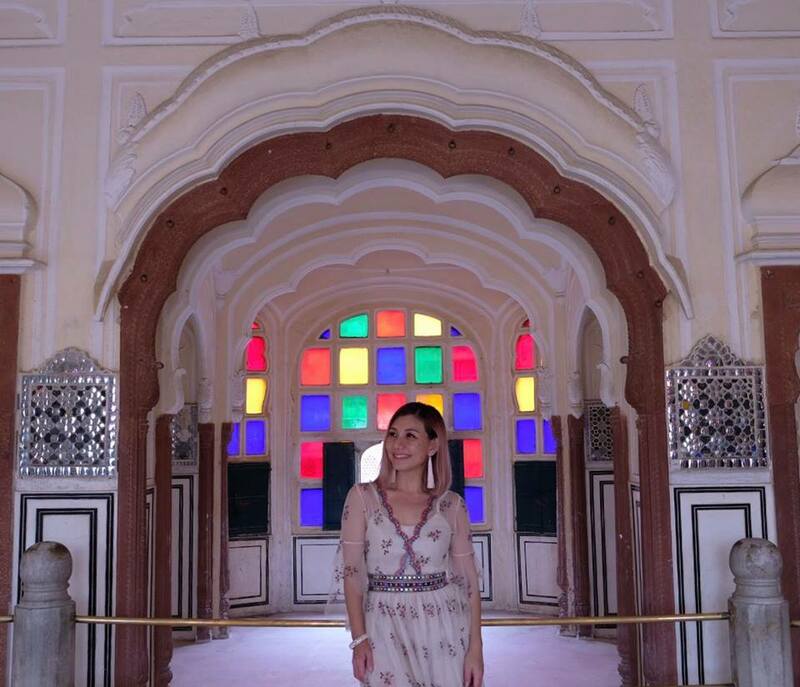 The Sheesh Mahal is a fascinating glass palace with numerous bling bling mirrors, mosaics and coloured glasses. Ohh.. it was absolutely beautiful and artistic. The Turkish Baths which was used by the ruler and the royal family. Peep holes everywhere... I can see you, but you can't see me. 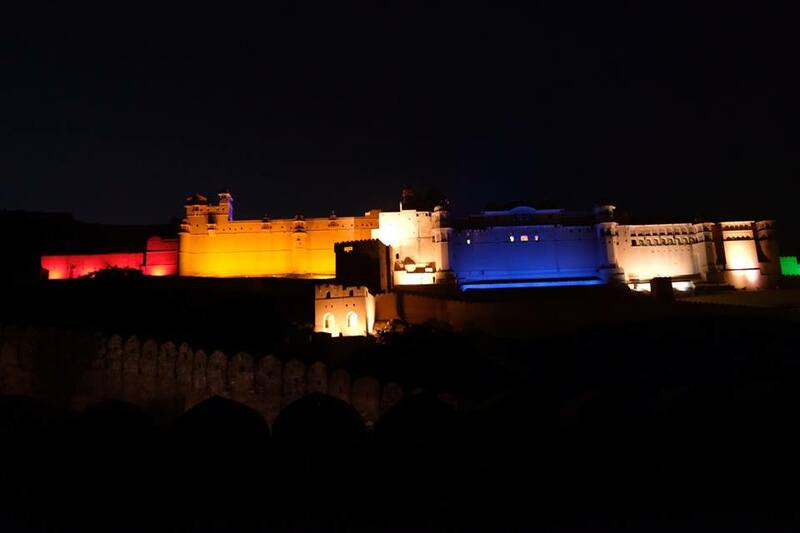 In the evening, we enjoyed the spectacular 'Amber Fort Sound and Light' show featuring the history and traditions of Amber Fort and its Kings. The 45 minutes show was awesome, we truly loved it! 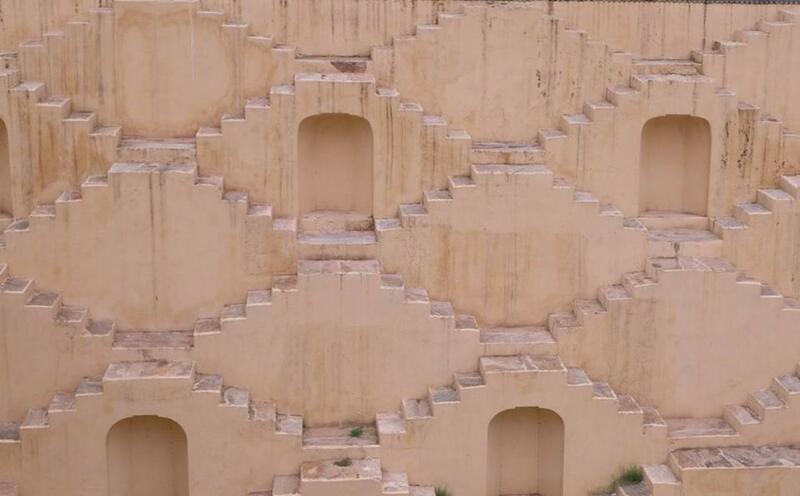 The picturesque symmetrical stairs at Panna Meena Kund was an ancient water reservoir. The lovely stairs are the perfect place to capture an insta-worthy photo, but it's a shame that we are not allowed to go down the stairs for photo anymore, as someone tripped and fell down previously. 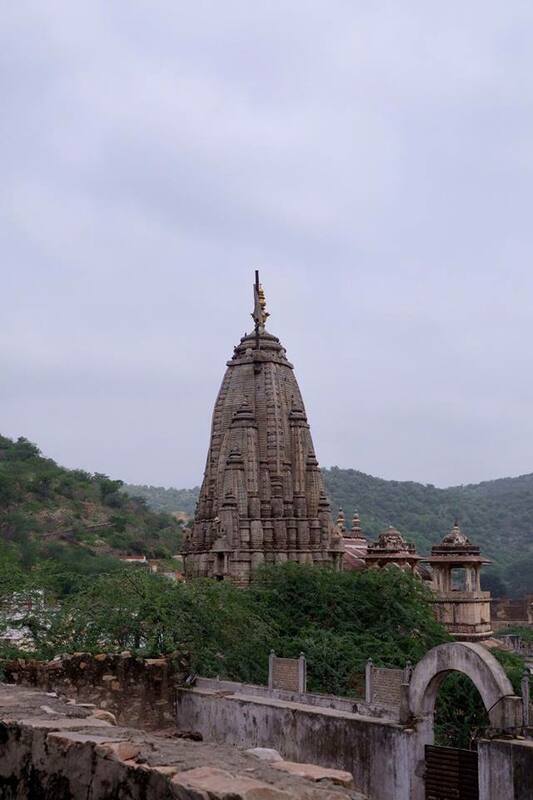 Situated in Amer town, the magnificent Jagat Shiromani temple is one of the most beautiful temples dedicated to Lord Vishnu, Meera Bai and Lord Krishna. 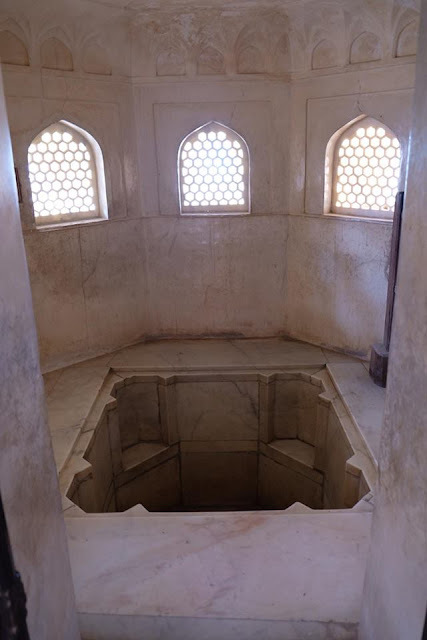 It was built during the early 17th century in loving memory of the eldest son of Maharaja Man Singh I and his wife, Maharani Kankwati. 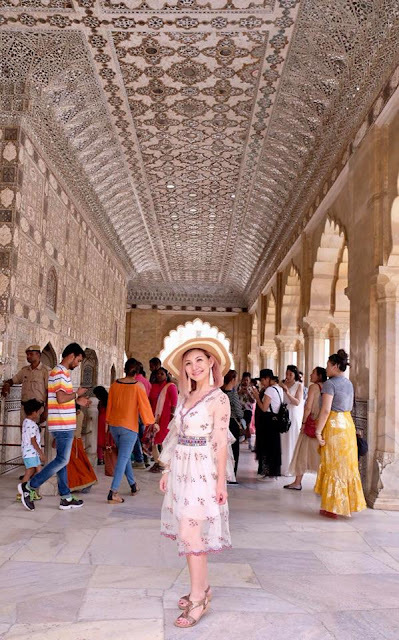 The splendid architecture of the temple made using sandstone, marble and granite reflect the Indon-Aryan style of architecture that will leave you awe-struck. 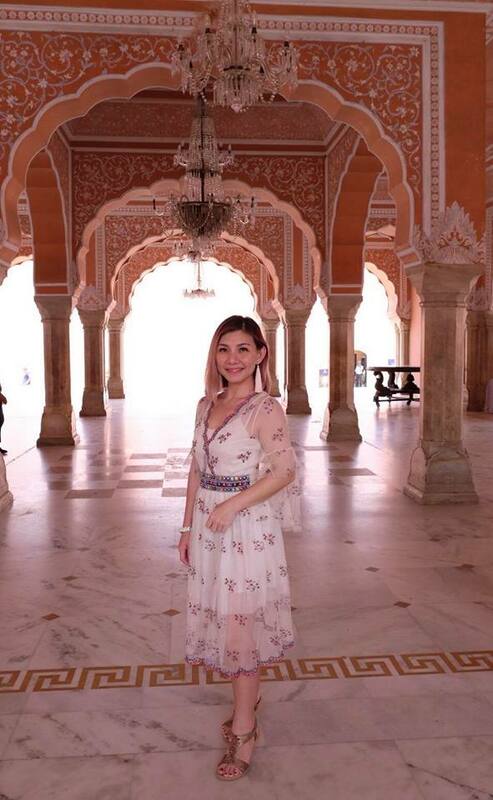 One of the most famous tourist attractions in Jaipur, the City Palace was built by Maharaja Sawai Jai Singh showcasing a unique combination of Rajput, Mughal and European styles of architecture. 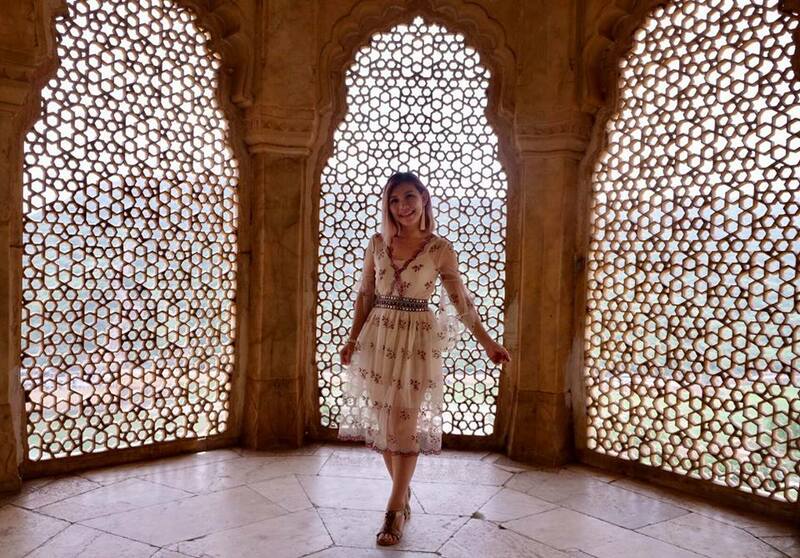 So beautiful in every corner! Look at the gorgeous cravings! 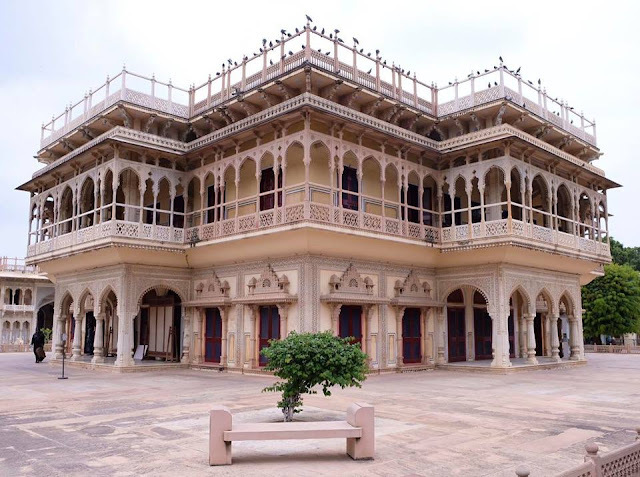 With an array of courtyards, gardens and special structures built inside the palace complex, the palace gives a deep insight into the excellent architectural skills of the designers and engineers of the bygone era. 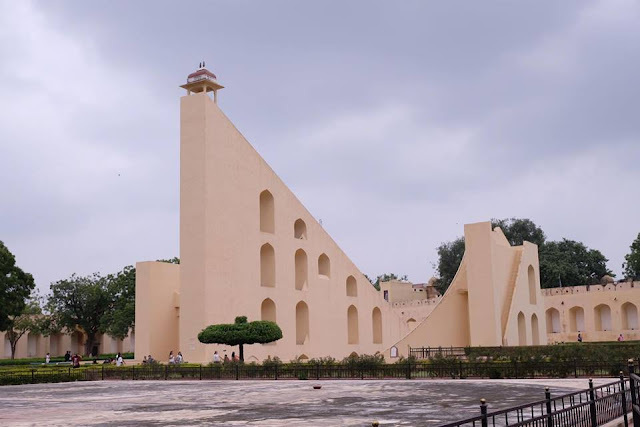 Jantar Mantar which was listed in the UNESCO World Heritage Site was built by Maharaja Sawai Jai Singh II, the founder of Jaipur. 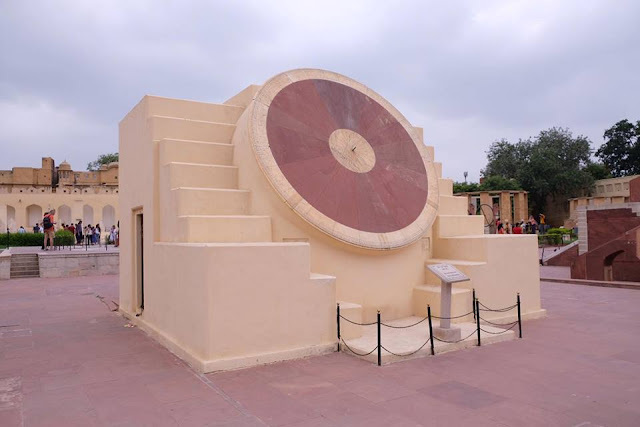 The largest of the five astronomical observatories in India, the Jantar Mantar houses sixteen geometric devices, designed to measure time, track celestial bodies and observe the orbits of the planets around the sun. Frankly, I find this rather dull, so unless you are into astrology or astronomy, you may want to skip this. 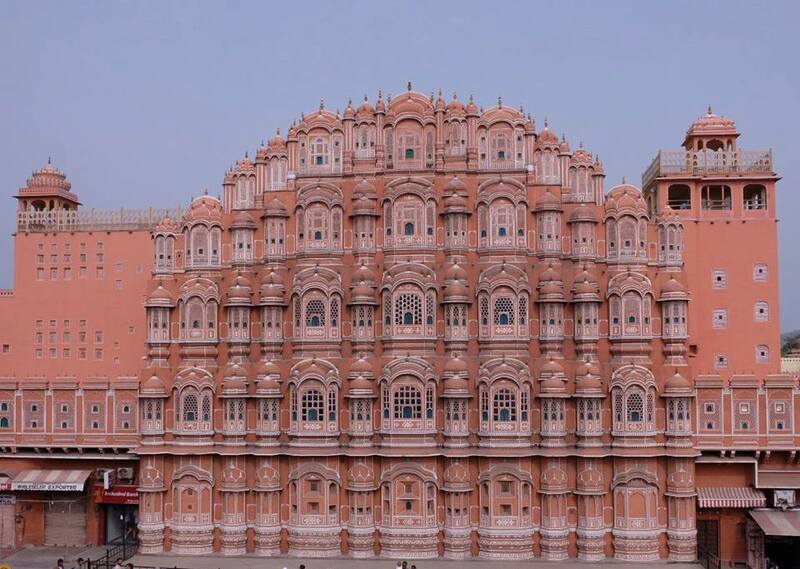 Jaipur's most famous landmarks, Hawa Mahal constructed with red and pink sandstone symbolizing the shape of Lord Krishna's crown is an architectural masterpiece with over 900 intricately carved 'Jharokhas' (small windows). 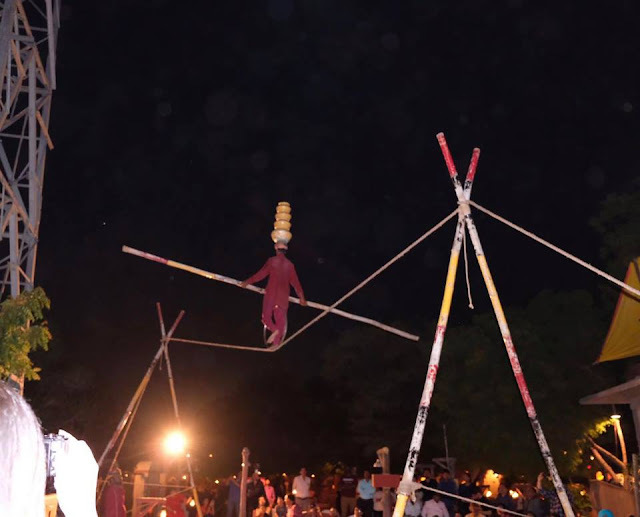 The Jharokas are designed for proper ventilation of the air and for the Royal women to watch ceremonial processions on the streets without being seen. 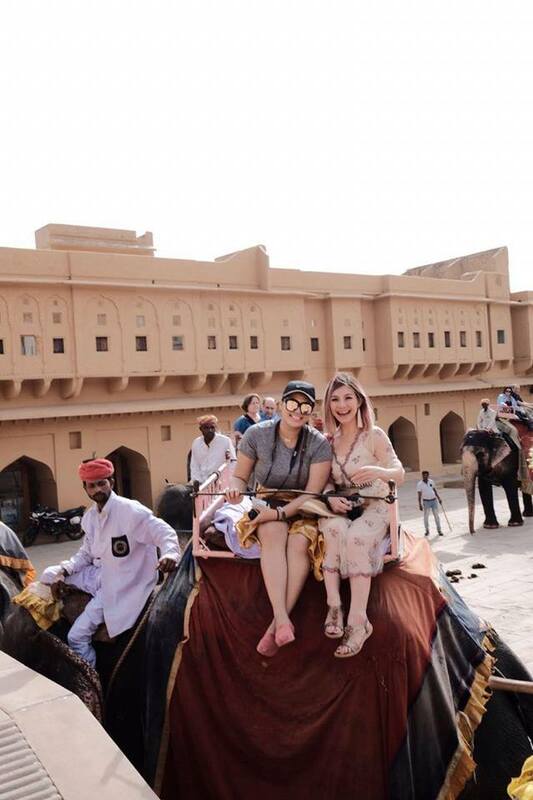 The Rajput customs in the past was very stringent as the women were bound by a strict 'Purdah System' and were not allowed to be out in public or interact with strangers. Psstt.... You can get the best view of Hawa Mahal at the Wind View Cafe! Plus, nothing beats sipping hot coffee with a wonderful view like this. How I wish I could freeze this moment and live in it forever. An ethnic village themed resort, Choki Dhani is the perfect place to experience the true Rajasthani culture by immersing yourself in the vibrant atmosphere and a series of local entertainment and cultural activities. 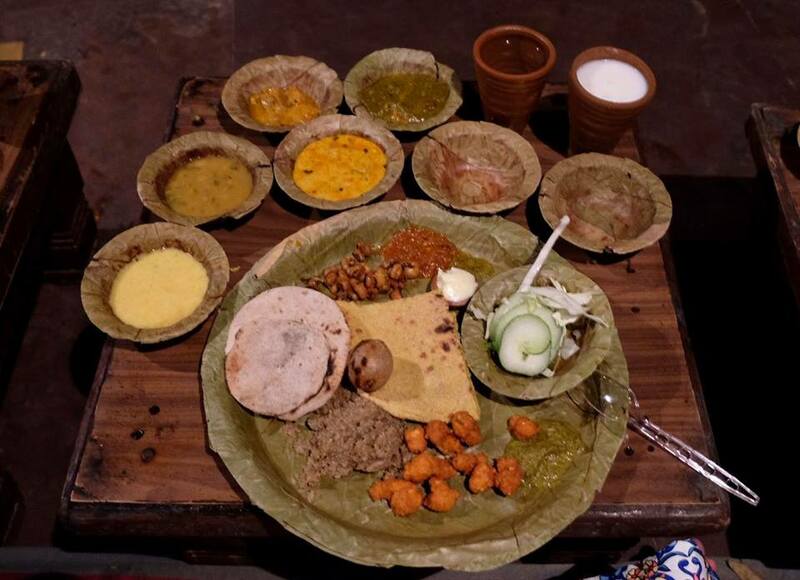 Of naan and curries, we had the best of Rajasthani cuisine here. 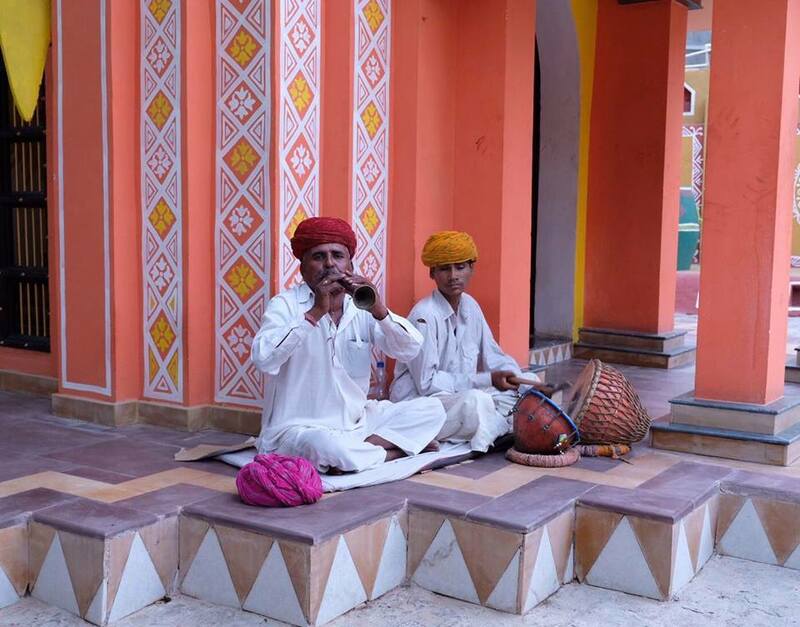 In fact, most of the naan we had in Jaipur was simply amazing, seriously good stuff. Enjoying dinner with my travel buddy, Alodita from Indonesia and Budiee from AirAsia Allstars. 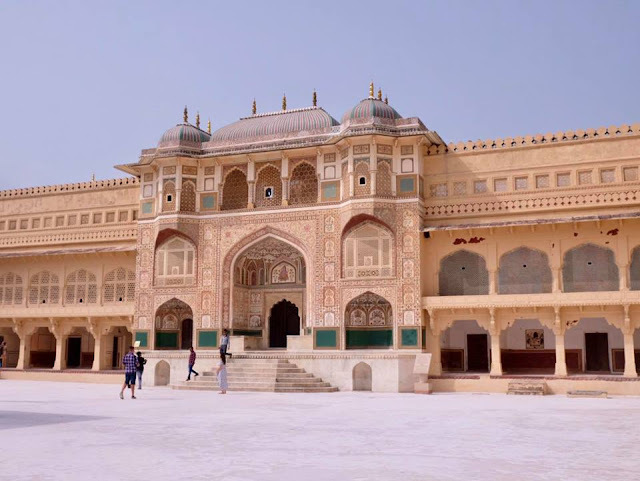 AirAsia X is proud to be the only long haul, low-cost affiliate carrier of the AirAsia Group to fly direct from Kuala Lumpur, Malaysia to Jaipur, India with four times weekly flight. Guests can opt for the premium service on the airline such as a seat which reclines to a full flatbed, complimentary 40kg baggage allowance, in-flight meal, pillow and duvet, a dedicated counter for check-in, as well as access to the AirAsia Premium Red Lounge when departing from Kuala Lumpur (klia2). 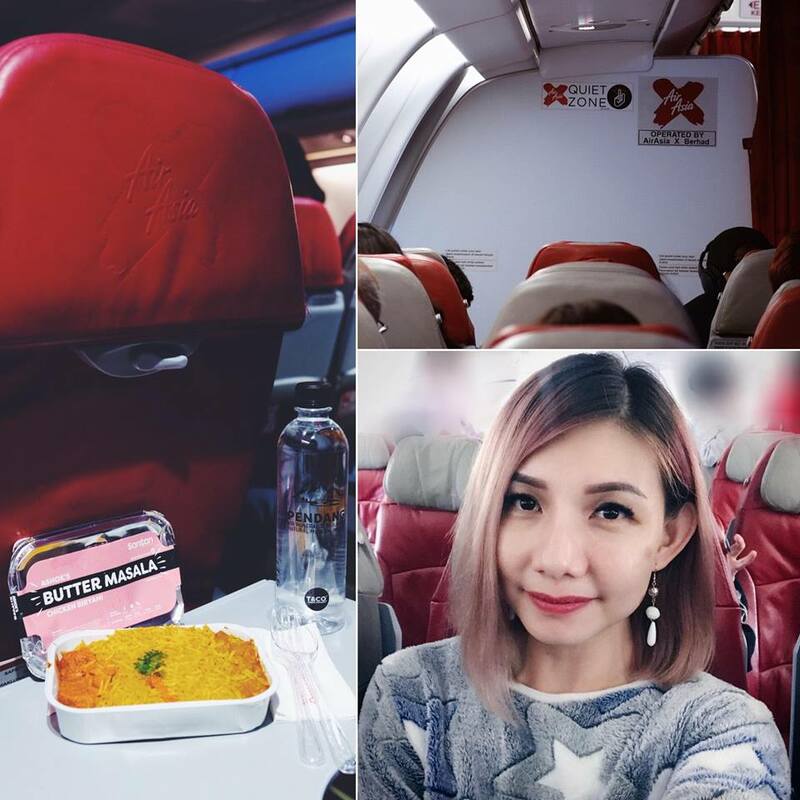 I had an enjoyable flight as always with AirAsia X. Absolutely love the blissful silence of the Quiet Zone area which allows me to get some shut-eye after a good meal. Totally worth the upgrade! Don't forget to pre-book your Santan Combo Meal 48hours before flight departure for AirAsia X (D7) flights to enjoy a wide selection of Asean in-flight meals. 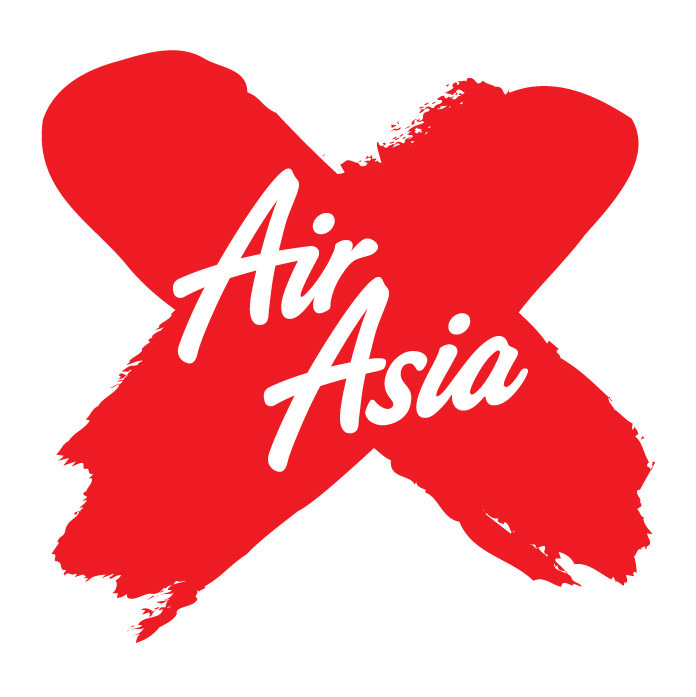 Every combo meal comes with a complimentary beverage cost only RM15 for AirAsia X (D7) flights. Meanwhile, you could opt for Hot Seats if you're yearning for extra legroom for that extra comfort or the Quiet Zone which is ideal for guests who need that extra peace and quiet (for guests aged 10 and above) All these are available under the Pick-A-Seat option in AirAsia's 'Manage My Booking' function on the website before conducting web check-in at www.airasia.com.